Spotless home located in the sought after Hayfield Farm neighborhood! 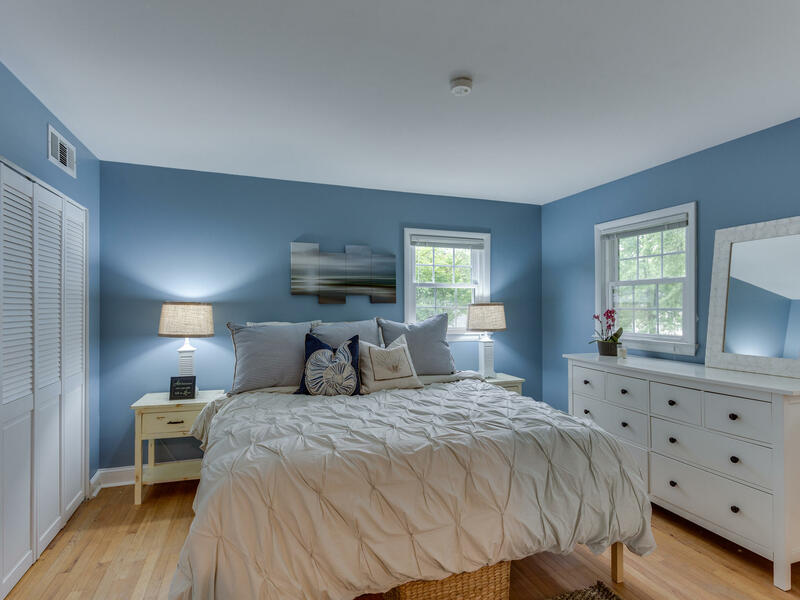 7639 Kingsbury Road has been lovingly maintained and exceptionally updated. Enjoy 5 bedrooms, 3 full baths, and a .25 acre lot with a fully fenced backyard - all in the sought after Hayfield Farm neighborhood! As you enter this outstanding home you’re greeted with hardwood floors throughout. 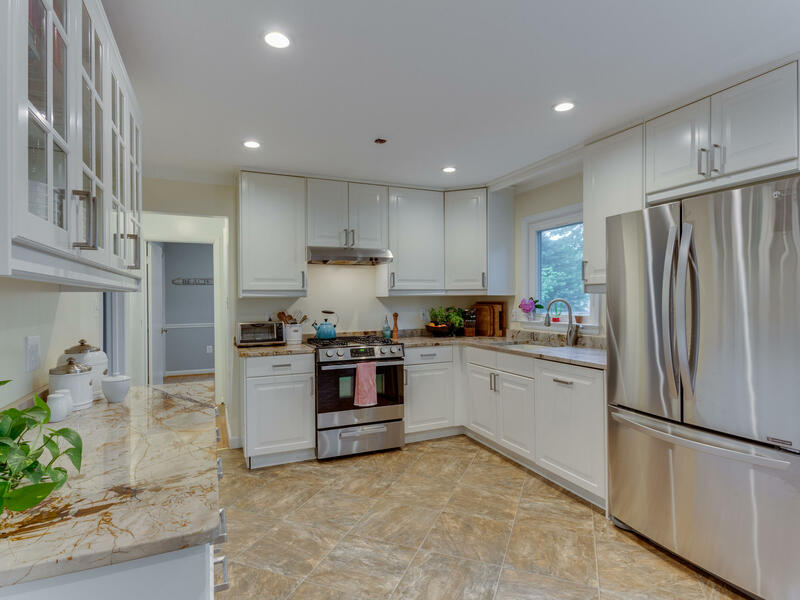 The spacious eat-in kitchen sparkles with granite countertops, stainless steel appliances, and custom cabinets. The kitchen is filled with natural light from the sliding glass doors leading to the patio and large backyard. Grow your own produce and herbs in the custom organic garden beds. 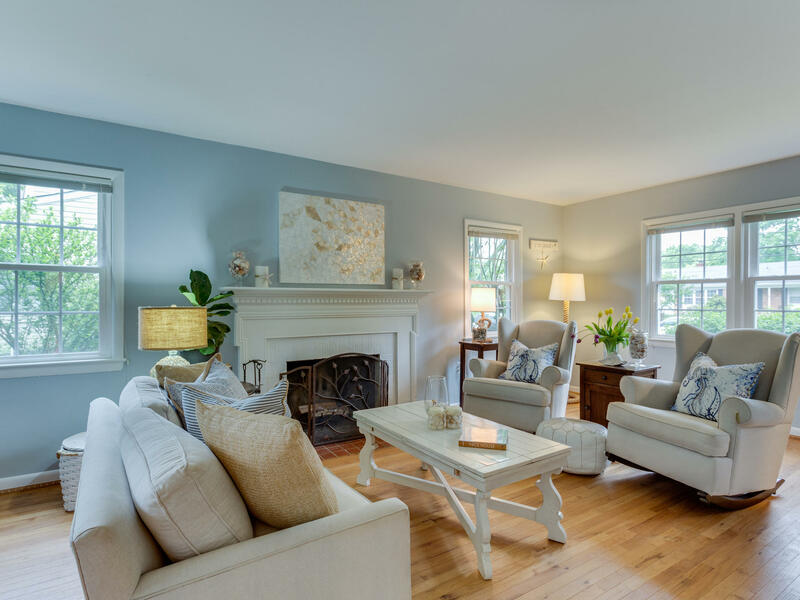 Relax in the living room with a wood burning fireplace or entertain family and friends in the separate dining room. There is a bedroom and full bath with Silver Shadow marble and heated floors on the main level. The main level also features a multi-purpose room, make it an office, home gym, bedroom, or whatever your heart desires. A large space and French doors make it very versatile. View the tour of this beautiful home. 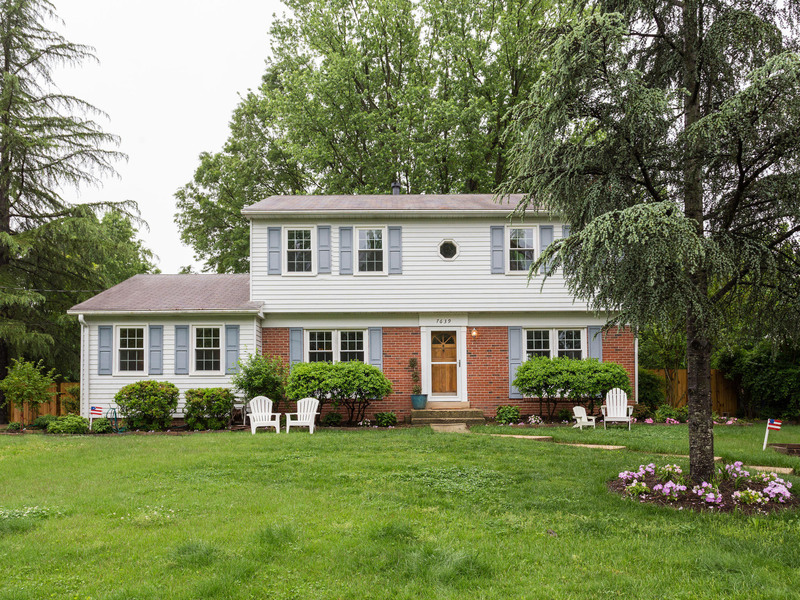 On the upper level of 7639 KingsburyRoad, you’ll find 4 bedrooms. The large master bedroom offers ample closet space and an attached master bath with Carrara marble. The additional 3 bedrooms are generously sized and have plenty of storage. The hall full bath also features Carrara marble. No detail has been spared in this stunning and inviting home. 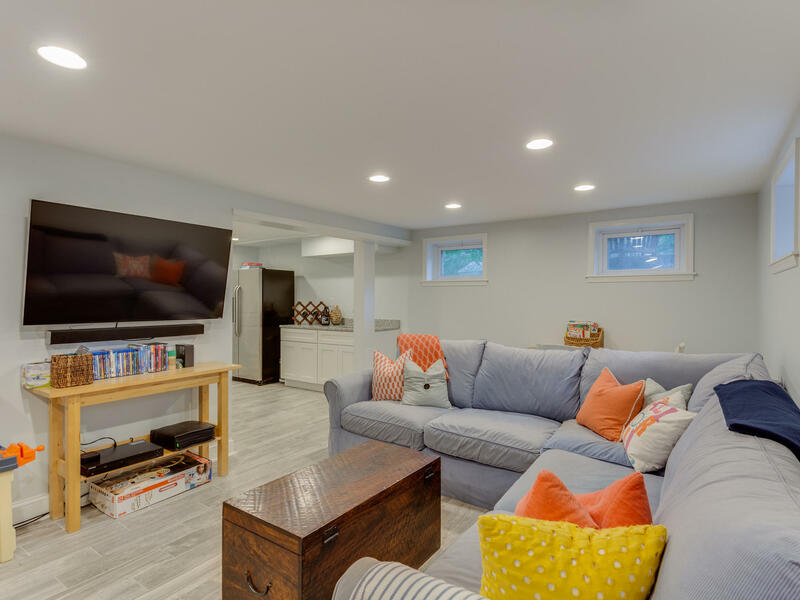 As you enter the basement a large rec room awaits you complete with a wet bar with granite counters and an additional refrigerator. The basement is also home to a large storage room and a front loading Samsung washer and dryer. We think you’re going to love calling this immaculate Hayfield Farm, HOME! 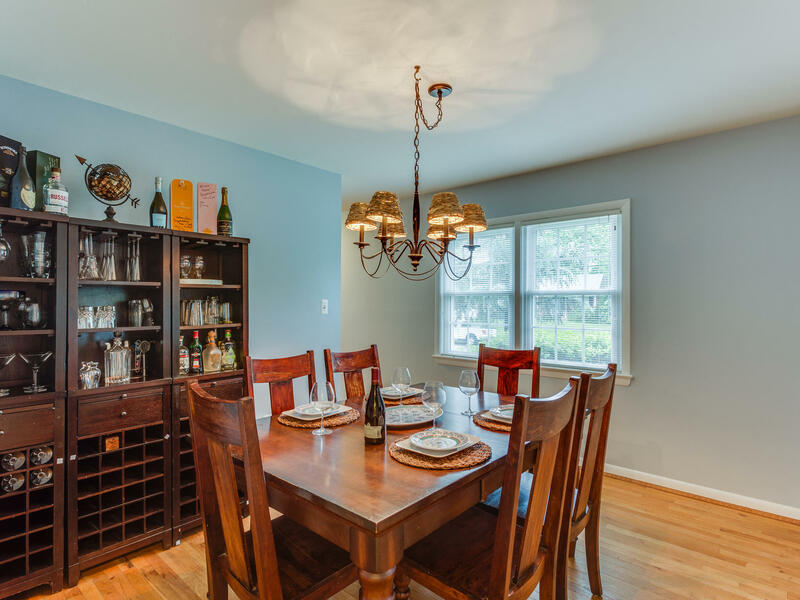 Give us a call 703-988-1711 to set up your tour when this home comes on the market.